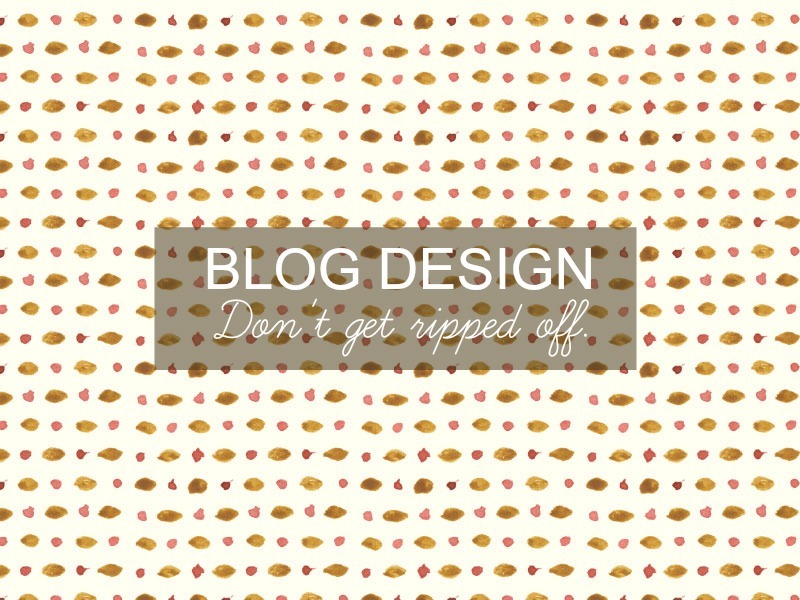 Blog Design- Don't Get Ripped Off. Every blogger wants to own a site that looks great, meaning it's easy to get tricked into paying a lot of money for designs that aren't worth a penny. I got deep into thought about this subject when I found a fellow blogger had paid £40 for an extremely basic design, when you can pay just £30 for something ten times better. It's especially shocking when I know I paid under £6 for my design! I may have tweaked parts of the design on my own, but without the template it would look completely different! I don't want to see any bloggers being ripped off which is why I've listed a few tips below to help you get a well designed blog that won't break the bank. Don't just use Google and give up, browse social network hash tags, ask other bloggers and look at other bloggers designs. I've found Etsy to be the best place for every bit of blog design possible, from templates to social icons and they're all completely different and range in price. If you find something you're interested in but have some questions, get in touch with the designer. It's really easy to send a tweet or an email. Don't be worried that you're annoying them, they'll be happy to know someone's interested in their work! Once you find a piece of design you love it's easy to click the purchase button and have it done with, but it's also easy to then find an even better design for half the price two seconds later. When you find something you like, save it and keep browsing for a while. You can then compare what you have found and choose what you like best. I'm not suggesting you try and learn how to create your own template, but it's a good idea to try and learn the basic HTML or at least be aware of how to change certain aspects, such as centering titles or adding social icons. Reading other bloggers guides and using Google can help you gain knowledge on changing bits of your blog on your own, which makes relying on a great design less needed. This also goes for editing images, creating headers, signatures etc. You don't need to own Photoshop to create amazing artwork, there are plenty of free editing sites you can become creative with! I really hope this has helped some of you looking to change your blog design, whether you want a complete template change or just signature. Research, discuss and learn. Have you got any tips for finding designers that don't rip you off?